Clipping Chix: Target: Philips Conicare 2 Series Toothbrush only $31.99 with Coupon and Cartwheel! 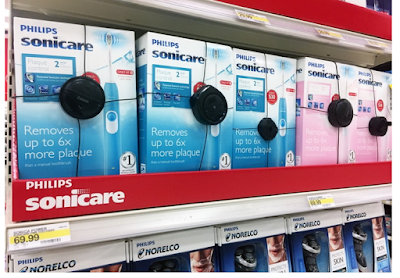 Target: Philips Conicare 2 Series Toothbrush only $31.99 with Coupon and Cartwheel! Here are the HOTTEST coupon deals of the day! Don’t miss deal #1 at Target! Print your coupons now and shop early to avoid empty shelves! Total $31.99 after cartwheel and coupon!